Sat & Sun extended from Sidcup to Welling replacing withdrawn 241 on these days. Mon-Fri peak extension between Sidcup and Blackfen withdrawn. Sat & Sun extended from Welling to Woolwich and further extended Sat peaks to Victoria Way. 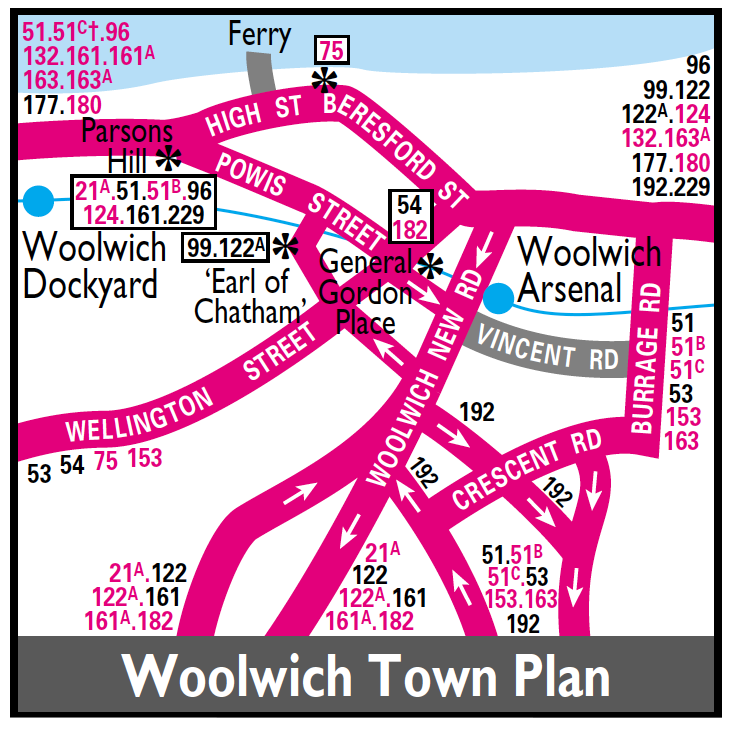 Mon-Fri extended from Welling to Woolwich - further extended to Woolwich Road replacing Route 241 which was withdrawn. Route increased to compensate for 51A and 51C withdrawal. Route decreased with the re-introduction of Route 51A. The Victoria Way projections were transferred to Route 51A. Extended from Woolwich to Charlton Mon-Fri peaks and diverted at Orpington to Green Street Green instead of Farnborough. 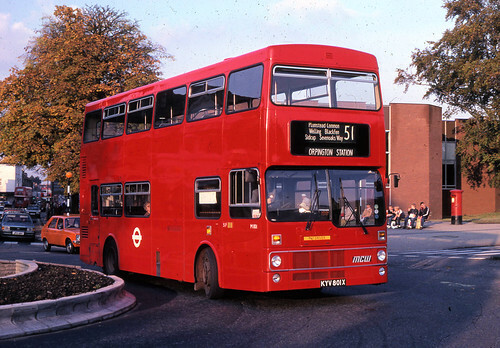 This in fact was the 51A renumbered. The Farnborough section was replaced by a revised 229 although the Hayes Station journeys were not replaced. Withdrawn between Orpington and Green Street Green - this section being replaced by a revised 229. Extension from Woolwich to Charlton Mon-Fri peaks withdrawn. Converted from DMS to T operation. London Country AN221 (EPH221V) is in John Wilson Street, Woolwich. The first day of operating route 51 under contract. Mon-Fri peak journeys to Green Street Green withdrawn. Operation transferred from Swanley to Dartford. T type replaced by Volvo Olympians - new contract commenced. Contract transferred to Selkent (PD) using Scania Omnicity buses.